I have had a version of this virus twice. 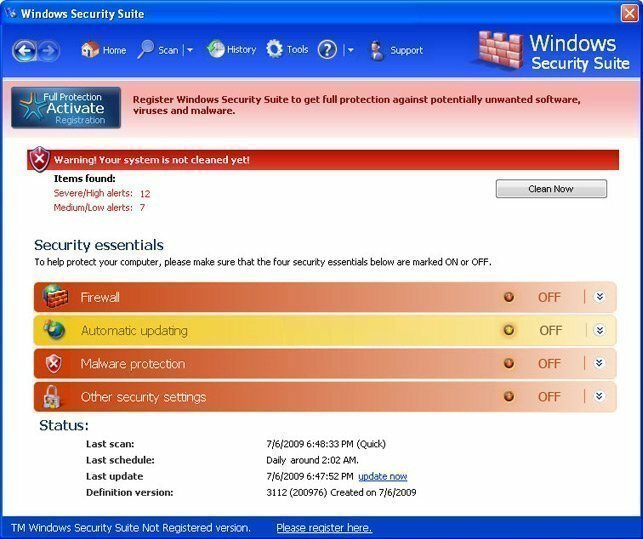 Once on a desktop and once on a netbook, both running XP with all current security updates. The desktop was infected when my daughter fell for the download trap like your son did. I found rkill was the only way to regain enough control to start the search to find and destroy the virus. It took 6 days and countless hours to finally root it all out. I found that I had to run three different anti virus programs multiple times one after each other to get all of it. Malwarebytes helped, although it is very annoying how it insists on updating before it does anything. I had a dedicated USB drive with essential tools ready the next time it happened, just before an important conference started while I was overseas. I don't know how it loaded as I don't recall clicking on anything suspicious. I was able to get rid of it in about three hours this time, only because I had been through the mill before. I agree with you that it is the worst virus I have seen. Where I work they automatically re-image if they come across a varient of it. While looking for help I read comments that it was supposed to have been developed as an electronic warfare exercise by a large asian country's military. Don't know how true that is but it is certainly a worry.